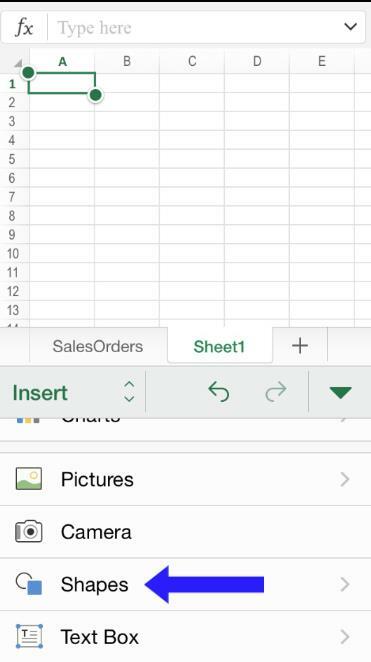 In this tutorial you will learn to find, create and manipulate the shapes available for use in Excel for iPhone and ipad. Find the ribbon button, and then look for the “Insert” option. 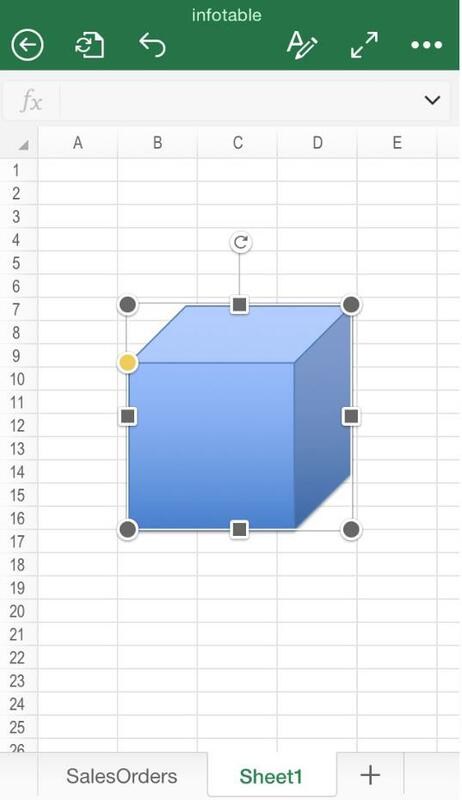 Once you have clicked “Shapes”, you will find a number of predefined options to choose from. 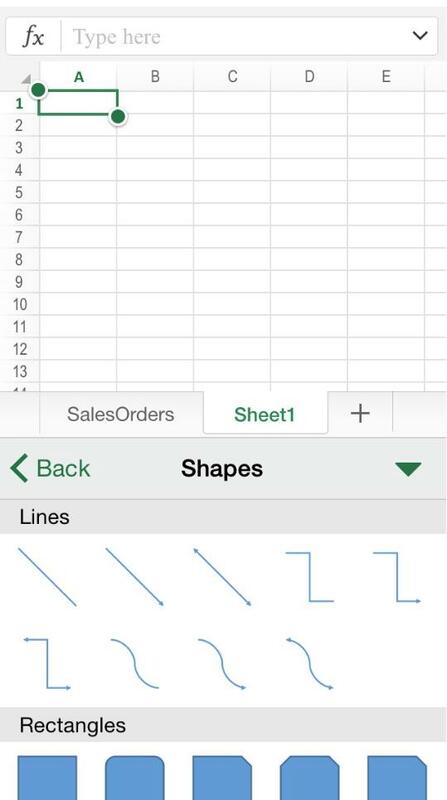 Please note that any of these shapes are customizable after selecting them. Browse the content and pick the one suits you the most.